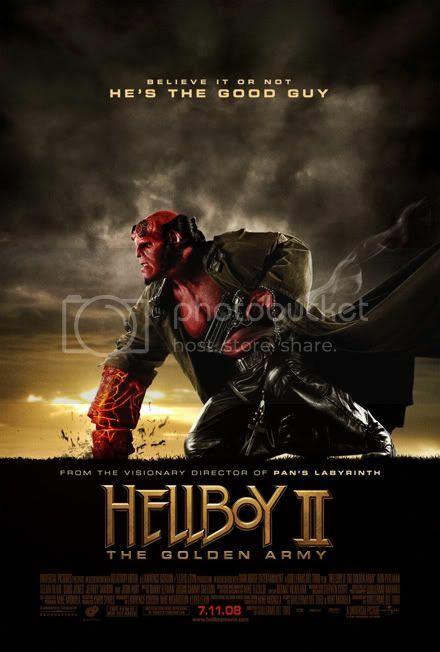 Universal releases Hellboy II: The Golden Army's new poster showing Perlman as Hellboy in a very cool stance and with a catchy tagline: "Believe it or Not, He's the Good Guy". I really laughed at that. I can't wait to see this in July.